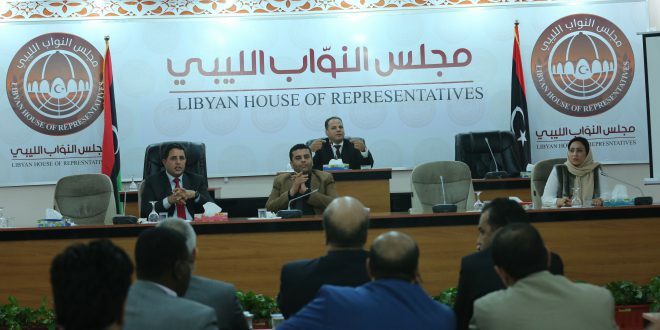 The House of Representatives (HoR) failed to vote on the new Central Bank of Libya (CBL) Governor today. It had announced yesterday, after candidates made their presentations to it, that it would make its choice through a vote today. However, the 70-odd members present today (the HoR insists it was 92 members) failed to reach a consensus and a block of about 30 members foiled an attempt to take a vote. Their actions – at times incensed the other 40-odd members who threatened to suspend their HoR membership in protest. One HoR member told this publication that the failed attempt to vote was partially predictable. It is thought that an unholy alliance between a group of ‘‘obstructers’’, those opposed to the Libyan Political Agreement, and supporters of the present Tripoli-CBL Governor Saddek Elkaber – combined to wreck the vote. Analysts were critical of the HoR for attempting to have a vote without having first established a consensus. Equally, it is widely believed that the HoR had no leverage on the ground in Tripoli to enable it to install its new CBL Governor – nor the ability to physically remove Seddek Elkaber from his post. One HoR member told Libya Herald today that Elkaber was supported by a strong militia in Tripoli and the HoR would not have been able to physically protect its new Governor. The ability of a minority of members to prevent a vote taking place at all further exposes the divisions within the HoR and its inability to stick to a democratic process. The failure by the HoR seems on the face of it to have backfired and inadvertently strengthened the hand of Elkaber.